Mapping our earliest days—as an embryo. 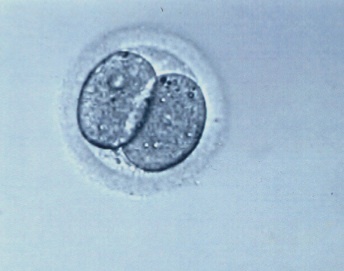 We have some 23,000 genes in every cell of our body, but on day two after fertilization just 32 are switched on. A team at Sweden’s Karolinska Institute has for the first time mapped all the gene activity for the first few days of embryo development—information that is yielding clues for developing better fertility treatments. One of their more interesting finding was that by day three, the number of active genes has grown to 129 even though the embryo has only grown from four to eight cells. “These genes are the ‘ignition key’ that is needed to turn on human embryonic development. It is like dropping a stone into water and then watching the waves spread across the surface,” said the project leader Juha Kere in an article in Health News Digest. As with much science today, the team took advantage of rapidly advancing technology in genetic analysis to map the gene activation. Sending the message without the messenger. In many experimental stem cell therapies it’s not the stem cells themselves that are expected to make the repair but rather other cells in the body that respond to chemical messages released by the stem cells. Stem cells often send out those messages in packets called exosomes, which has led several teams to start using the exosomes alone for repair. A stem cell releasing exosomes, sort of like little medicine bags. One group in Germany just published results in Stem Cells Translational Medicine suggesting that in at least one disease, a mouse model of stroke, exosomes trigger as much repair as whole stem cells. 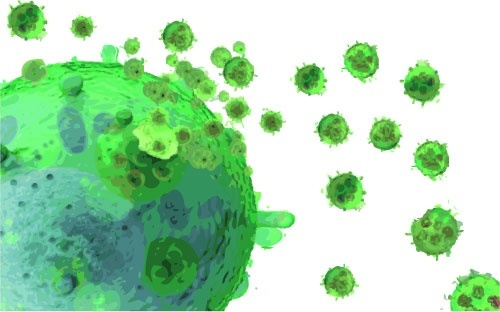 The researchers from the University of Duisburg-Essen claim to be the first to publish a side-by-side comparison of exosomes, which are also called extracellular vesicles (EVs) and whole stem cells. “The fact that intravenous EV delivery alone was enough to protect the post-stroke brain and help it recover highlights the clinical potential of EVs in future stroke treatment,” said the two lead researchers in a press release distributed by the journal and picked up by BioSpace. They reported that the exosomes promoted brain recovery and protected the mice from post stroke inflammation that can cause ongoing damage. 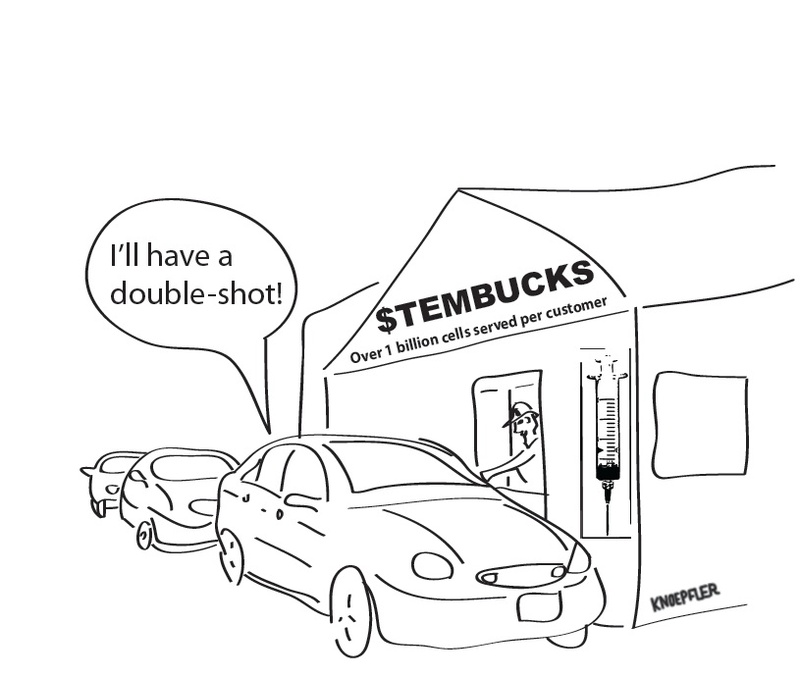 Three hits on unproven stem cell therapy. Yesterday’s news feed brought in three welcomed pieces trying to explain why so many stem cell treatments being offered today are unproven, skirt regulations and may be a rip-off. A group of neurologists from Ohio State University wrote a piece on the growing problem of “stem cell tourism” in the journal JAMA Neurology. The piece got picked up by many news outlets including Fox News. In particular, the authors noted internet advertisements suggesting stem cells are proven to help multiple sclerosis, ALS (Lou Gehrig’s disease) and other hard or impossible to treat neurological conditions. They called upon their fellow neurologists to do a better job of advising their patients on the issue. “We must help educate our patients not only in the clinic setting, but also by working with patient advocacy groups such as the National Multiple Sclerosis Society and the ALS Association,” said one of the Ohio State authors, Jaime Imitola. USA Today published a pair of pieces. One dealt with athletes making very visible trips to clinics offering unproven stem cell therapies and the power their fame has to attract other customers. The second piece discussed face creams that claim to have benefit due to stem cells and the lack of data and often lack of logic behind most of those claims. ← Watch Spinal Cord Cells Take a Hike! A pancreatic cancer diagnosis is basically a death sentence. The five-year survival rate is 6 percent. A prostate cancer diagnosis, on the other hand, offers patients more room for hope — its five-year survival rate is nearly 100 percent. But despite the difference in the severity and prevalence of these diseases, the approval process for drugs to treat them, and any other disease, is the same. New research from a pair of MIT economists argues that the Food and Drug Administration, which decides which new drugs get to market through randomized clinical trials, is too one-size-fits-all in its approach to the approval process for treatments for everything from leukemia to the flu. As a result, they say, the agency is too conservative in regulating trials for severe diseases like pancreatic cancer and not conservative enough when it comes to drugs for less dire ones like prostate cancer. “The FDA is staffed by extraordinary individuals, but we’re focused on providing them with another tool to focus on desperate patients who have no other recourse,” said Andrew Lo, a professor of finance at MIT and the author of the new working paper. Lo, along with his student Vahid Montazerhodjat, argues that the agency’s judging of clinical trial requirements by a uniform statistical standard is a mistake. Instead, they say, the standards should take into account the severity of the diseases that the drugs seek to address. The Washington Post had a nice write-up of the paper’s implications, and Lo’s statistical approach to the problem is worth exploring further.